Readers should be well aware by now that one thing I love to do on the weekends is have breakfast for supper. A day does not go by that I do not miss Picasso Restaurant on St. Jacques Street. When it closed several years ago, property owner Peter Sergakis promised me he would revive it but the spot remains boarded up - with Les Amazones gentleman's club seemingly thriving in the basement. Nick's on Greene Avenue used to stay open until 7 p.m. on Saturday nights and serve breakfast, but no more. Eggspectations opened a new locale at Hotel Ruby Foo's last May and offered breakfast until 11 p.m. But now they close at 4 p.m. B&M on Somerled will serve breakfast until closing, with an extra $2 tacked on to the bill. Well I have discovered a new place - at least a new one for me. 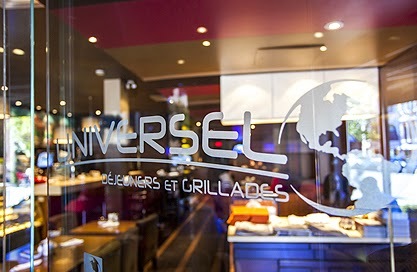 Universel Déjeuners et Grillades has two Montreal locations - one on Peel and the other on St. Denis below Pine. The latter locale will serve a full breakfast (with lots of choices) until 7 p.m. each night (the downtown spot only until 5 p.m.). 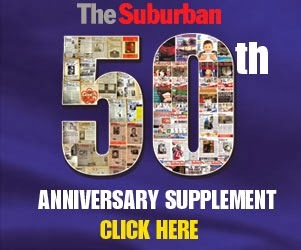 Check out what they have to offer. We went there Saturday night after a movie and I was beyond impressed. I ordered one of the most delicious cheese omelets I have ever tasted. Service was excellent. We wanted our breakfast potatoes baked, not fried. The manager on duty, Jason, came to our table and made it happen. Even the toast was perfectly prepared and nicely buttered. They even included some fresh fruit on the plate. The rest of the menu has a variety of choices. Apparently this place has been around since 1995, originally on nearby Cherrier Street near Lafontaine Park and now in this warm spot consisting of comfortable booths and tables. Hats off to owners Anna and Steve Manousakis for this excellent establishment. It is time to add a third franchise in the West End! So what does this say about the economy? Bureau en Gros has finally shuts its doors at the Quartier Cavendish, a real loss for the community and a shopping centre which has been doing reasonably well since it was sliced in half to make way for a large residential development. This was no surprise. The head office made the announcement last June. Now the Quartier, still affectionately referred to as "the Mall" by many, has this massive space to fill. Bureau en Gros was in place there for more than a decade. Living close by, I so much appreciated the novelty of dashing over when I needed any type of office or computer supplies, not to mention a telephone or an electronic wire. It seemed to be doing well, but I guess the head honches felt otherwise. What could fit in this spot? A large restaurant? A second grocery store? Maybe Eaton can be revived? Meanwhile, as reported on this blog on July 3, 2013, I guess we can now formally begin eulogizing Restaurant Antico Martini. The NDG Somerled Avenue institution actually shut its doors on June 22, 2013. Nonetheless, the owners refused to acknowledge that it would not reopen. Even last summer I got a call big boss Thomas who indicated a comeback was not impossible. Well, the tables have been left set for 20 months and finally this week I saw a big sign in the window signalling the end is indeed near. Luc Vaillancourt of Pagex Real Estate is advertising the sale on his website. 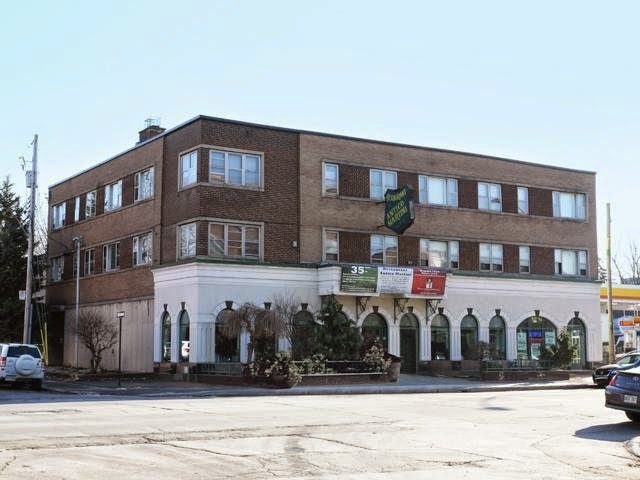 Not only is the restaurant property up for grab, so are 10 apartments on the top floors and another commercial unit which has been rented by dry cleaner for many years. As for Antico Martini, the ad acknowledges it "is now closed." All restaurant equipment is included in the selling price of $1.45 million. Sticking with Somerled, the future of two other restaurants seems to be in limbo. There are signs in the windows of both Restaurant Agostini and Olympic Agora that they will be "open soon." But why are they closed in the first place. One restaurant where business continues to boom on Somerled is B&M. I was there Saturday night and we were lucky to get a table. Hats off to the management for being perhaps the only restaurant in the West End to make a full breakfast menu available throughout their opening hours. Sometimes I feel like having breakfast for supper, an option which was easy to fulfill in the days of Picasso on St. Jacques. I had high hopes for Eggspectation at Hotel Ruby Foo's when they stayed open until 11 p.m. But they now shut down at 4 p.m. There is a new spot called Il Figo, but sadly they have not maintained a breakfast menu.